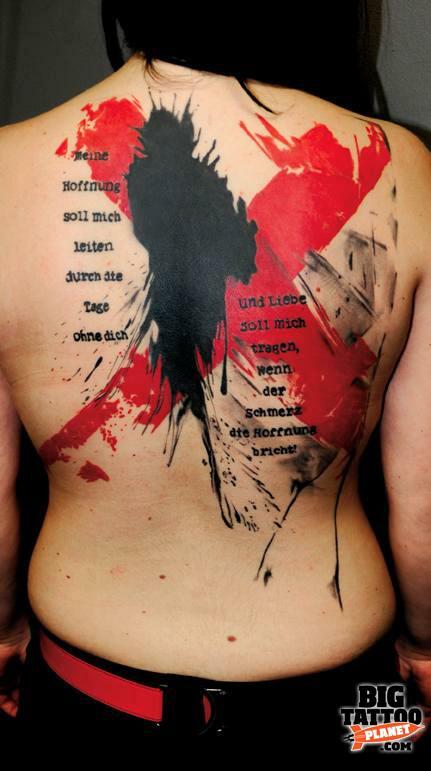 Tattoo Blog » Meet Simone Pfaff!…and Volko Merschky? 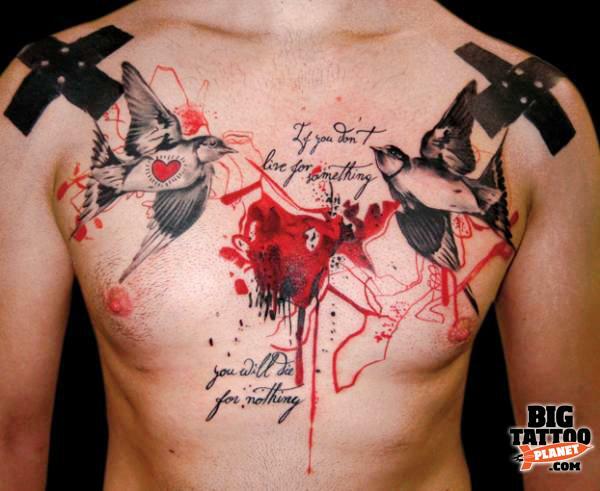 Tattoo Blog » Inspired » Meet Simone Pfaff!…and Volko Merschky? Meet Simone Pfaff!…and Volko Merschky? Maybe I’m a fool who tends to get easily confused, but the wesbite that Simone Pfaff shares with fellow tattooist Volko Merschky seems just a little bit…well, confusing to me. First of all, there’s the the tattoo work – which to be blunt, is brilliant. I would say that it reminds me a little bit of Yann Black’s work, though it puts its own entirely different spin on everything, resulting in tattoos that are faintly bizarre and dark. They’re jigsaw puzzles of tattoo goodness. But that’s not the confusing part. The confusing part is that none of the numerous tattoos on Simone Pfaff and Volko Merschky’s website give credit to either artist, making it very difficult to determine which work can be credited to whom. Do they work together? Does one artist take on half the work while one does the other half? I doubt it, but I do have to say that such a work process would be quite unique and interesting, just like the tattoos themselves. I guess not knowing who did what isn’t the end of the world and that if you’re like me, then you’ll most likely just safely agree that the work being done at Pfaff and Merschky’s Würzburg, Germany based Buena Vista Tattoo Club is all just…well, brilliant! That being said, all the photos of the tattoo work that you see in this post are credited specifically to Simone Pfaff. I assume that this is the sort of thing that only very talented tattooists can get away with. Had the work that Pfaff and Merschky have on their site not been so impressive, I wouldn’t be writing down praise for it. In fact, I wouldn’t be writing anything at all. Thankfully it is impressive, which means that I’m simply left being confused. Confused, but impressed all the same.